Since my daughter has started back to school, we have found ourselves super busy and I have little time in the evenings to slave over the stove trying to cook a healthy meal for the fam. Luckily, my slow cooker is there to save me! 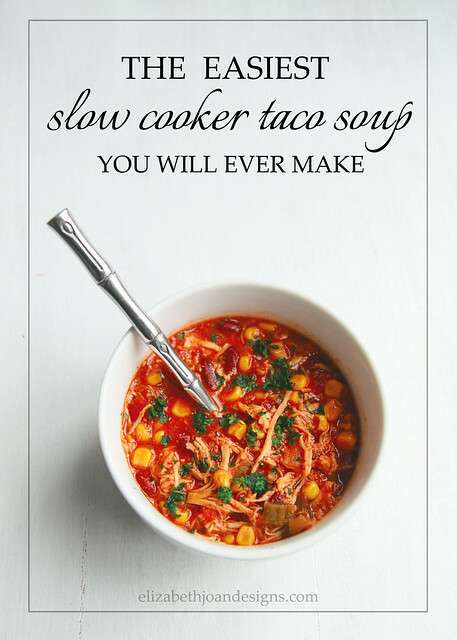 Yesterday, I whipped up this slow cooker taco soup and the meal basically prepared itself while we finished everything else on the to-do list. 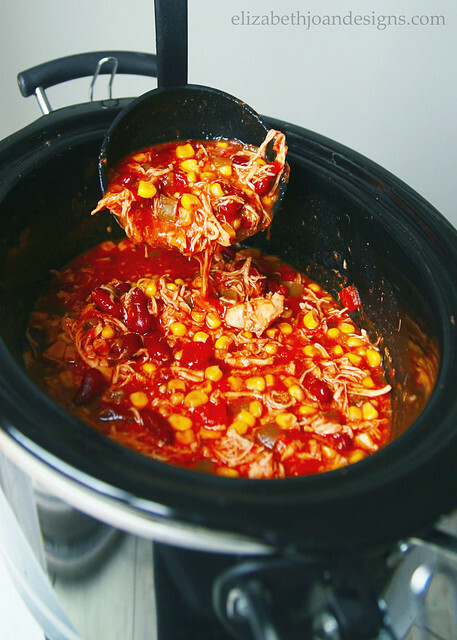 This is one of my go-to slow cooker recipes because it is so simple and easy to put together. 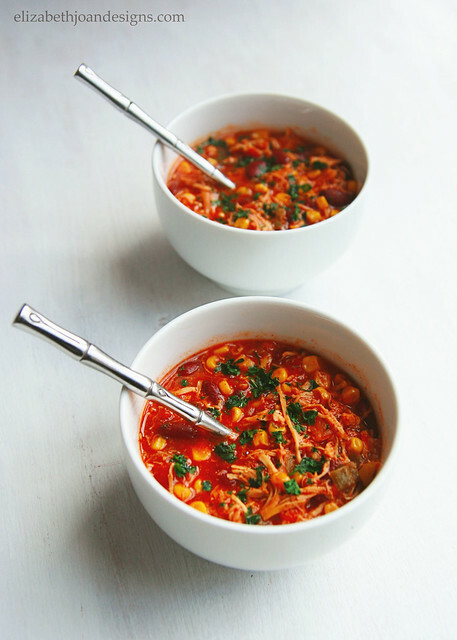 Basically, you just layer the ingredients inside and a few hours later you have a hearty meal that is super delicious. And even though I call it a soup, it is thick like a stew. I suppose you could always add a little extra water if you wanted it thinned out more. 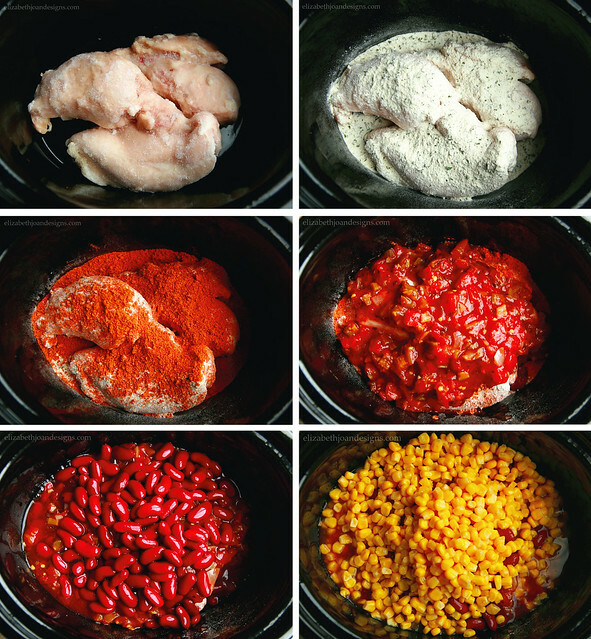 I started with 3 frozen chicken breasts and added ranch mix, taco seasoning, salsa, kidney beans and corn on top, in that order. (That seriously takes less than 5 minutes.) Then, I set the slow cooker on high and let it cook for several hours. Before serving, I shredded the chicken with a fork and stirred everything up. We like to garnish our stew soup with fresh cilantro, cheese and greek yogurt (instead of sour cream), but it would also taste great with some diced avocado, olives or jalepenos on top. Oh my goodness! It is so amazingly delicious and easy to make. Plus, you can vary the taste, depending on the spiciness of the salsa you use or by throwing in more taco-y ingredients. Try it out and let us know what you think! 2. Cook on high, 3-4 hours or until chicken is fully cooked. Shred chicken with a fork. 3. Serve with with your favorite toppings.